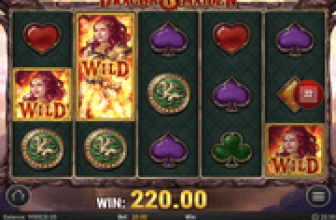 Book of Dead Online Slot: A Rich Wilde Reel Adventure with Expanding Symbol Win-Boosters! 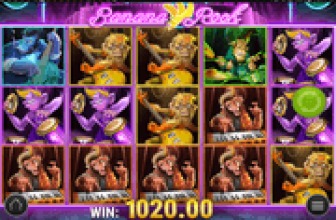 Book of Dead online slot is another reel-spinning adventure with PlayNGo's Rich Wilde reel-character. This time, the Indiana Jones-like swashbuckler takes slot players to an Egyptian-themed 5-reel, 10-payline slot. In the free round, the chances of landing on Big, Super Big and even Super Mega Wins are heightened by the occurrence of the Expanding Symbol feature. Rich Wilde and the Book of Dead icons contribute important actions in both base and bonus games. The PlayNGo adventurer is the highest paying symbol. It awards 10, 100, 1000, or 5000 coins for every two (2), up to five (5) Rich Wilde images lining up in any live payline. The Book image, on the other hand, has dual functionality as both Wild Symbol and Bonus Game trigger-element. The icon depicting a mysterious glowing Book is quite potent when two (2), three (3), four (4) or five (5) emerge in any row or reel. Aside from receiving Scatter Rewards of 2, 20, or 2000 accordingly, players will receive ten (10) bet-free opportunities to play on bonus reels enhanced with Expanding Symbols. The Total Bet wagered on the spin multiplies the coin rewards awarded as Scatter Wins. Even greater still is the Book's primary function as a Wild Symbol. When appearing in any active payline, along with identical symbols, the Book of Dead Wild pose as alternative icon to complete or expand winning matched-symbol groupings. Ten (10) wager-free games will be in play once the Book of Dead Bonus Game has been activated. Prior to the commencement of the free round, a regular icon will be randomly designated as Expanding Symbol. Once the reels come to a stop, any payline wins produced by a bonus spin will be awarded. After which, any icons designated as Expanding Symbols will expand upward or downward to fill all three (3) positions of their respective reels. The fresh outcomes will then be evaluated, while the resulting payouts will be added to the recent winnings. However, the symbol expansion occurs only if the special feature will result to additional wins. First off, online casino players have the option to play all ten (10) paylines or deactivate some, albeit according to the numerical order of a line. Once the preferred number of paylines have be activated or deactivated, a coin value anywhere between 0.01 up to 2.00 must be selected. Players also have the option to increase the number of coins to wager per spin between 2 and 5 coins. The selections determine the Line Bet, being the product of the coin value multiplied by the number of coins selected. The Total Bet staked per spin is the number of paylines selected multiplied by the Line Bet. The lowest possible Line Bet therefore is 0.01 (0.01 x 1 coin), while the lowest possible Total Bet per spin is 0.01 (0.01 Line Bet x 1 Payline). On the other hand, the Maximum Line Bet is up to 10.00 (2.00 x 5 coins), while the Maximum Total Bet per Spin is 100.00 (10.00 Line Bet x 10 Paylines). Book of Dead - Awesome Expanding Symbols that Bring Additional Bonus Wins! 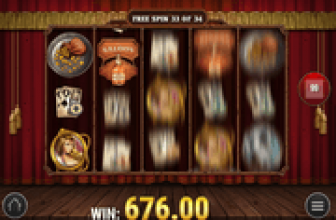 Book of Dead online slot from Play'NGo furnishes standard reel-spinning play to win from matched-symbol groupings in live paylines, but makes a difference by featuring a Bonus Round configured with Expanding Symbols that occur to bring surefire Add-on Payouts to the most recent payline wins.